Trucks and trolleys are an ideal solution for handling, storing and transporting goods and materials about a busy environment. 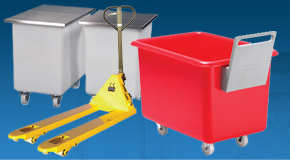 From plastic trucks to plastic dollies G-Force offer a wide range of storage and materials handling equipment suitable for use in almost any industry. Our range of mobile container trucks, chassis trucks with plastic tanks, plastic dollies and moulded trough units are used throughout a wide range of industries for an endless number of storage, materials handling and transportation applications. View each range to find the perfect truck or trolley to suit your requirements. Our range of plastic trucks are manufactured at our UK factory and are produced to an impeccable standard. 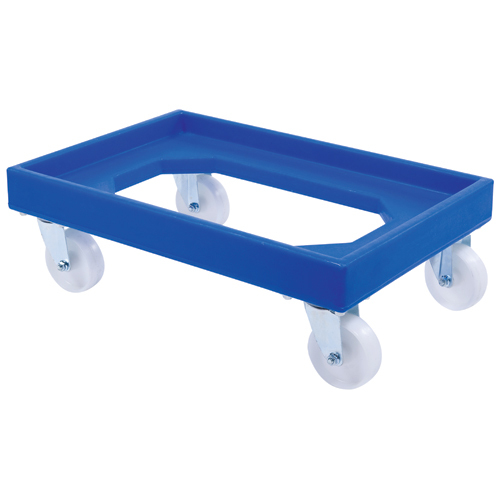 Made using rotational moulding the tapered trucks consist of a heavy duty, food grade, plastic tank housed on 4 hard wearing castors. The inserts for these castors are moulded into the plastic and so the mobile container trucks are seamless, watertight and are incredibly robust, resistant to breaking, cracking and denting. 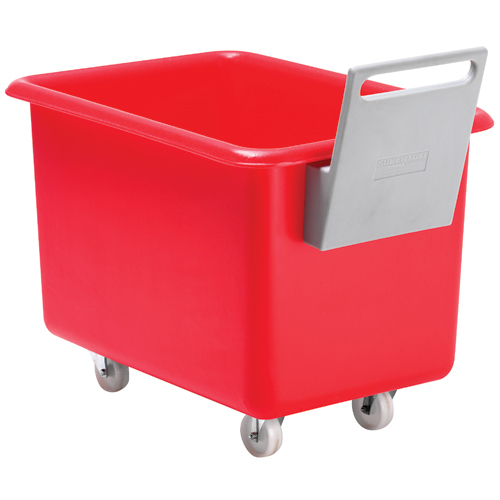 Perfect for handling and storing food products and ingredients the plastic trucks are often called ingredient trucks and they prove to be incredibly hygienic and easy to clean. Available in a wide range of food approved colours the tapered trucks are ideal for high care environments and are able to adhere to colour coded requirements. 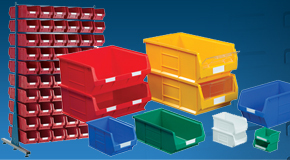 The tapered design of the plastic trucks allows them to be stacked and nested when not in use to save on space. Ideal for use within demanding, industrial environments the mobile container trucks are available in 8 different sizes to suit a host of different applications. The largest 3 sizes incorporate a reinforced plastic baseboard to allow them to handle heavier loads. Plastic drop-on lids and heavy duty plastic handles can also be provided with these plastic tapered trucks to cover and protect contents and assist with the handling of the mobile container. To complement our range of food grade, mobile container trucks we also produced a variety of recycled plastic trucks for use within non-food related environments. Designed and manufactured in the same manner as their food grade equivalents, the recycled tapered trucks exhibit all of the same characteristics and are just as strong, durable and reliable. Produced from recycled plastic material, the recycled mobile container trucks help us to reduce our carbon footprint and offer a range of cost-effective plastic trucks perfect for industrial use. Incorporating no awkward to clean crevices and seamless by design the Eco plastic tapered trucks are just as hygienic and easy to clean as the food grade alternative. Plastic drop-on lids and heavy duty plastic handles can be supplied for the Eco plastic trucks and alternative castors configurations are available on request. The recycled plastic truck is often used within warehousing, laundries, retail distribution, waste and recycling and many other industries where food grade plastic is not a requirement. Where a plastic truck would be insufficient for an extremely heavy or bulky load, our chassis container trucks are ideal. Incorporating a stainless steel mobile frame with a heavy duty plastic tank, the chassis mobiles and plastic tanks are perfect for heavy duty, demanding industrial use. Available in a range of sizes the chassis trucks are also available with powder coated steel frames. Harnessed within a mobile steel frame, the plastic tank is incredibly strong and durable. Rotationally moulded using food grade polyethylene the tank is seamless, watertight and nigh unbreakable. These attributes make it ideal for coping with the rigours associated with industrial environments. 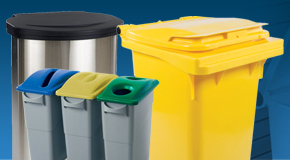 The large plastic tanks can be supplied in a wide range of colours, with or without optional plastic drop-on lids for cover and protection and drainage taps for emptying liquid contents. Moulded troughs are a popular choice within many industries for handling liquids, wet materials or for use within cleaning and hygiene regimes. Available in 2 sizes the plastic trough units are housed in stainless steel mobile frames that are highly manoeuvrable and incredibly durable. The plastic troughs themselves consist of a single one-piece moulding that is seamless and smooth. Our moulded plastic troughs are available in a variety of colours with optional lids, drainage holes and bungs or drainage plugs. 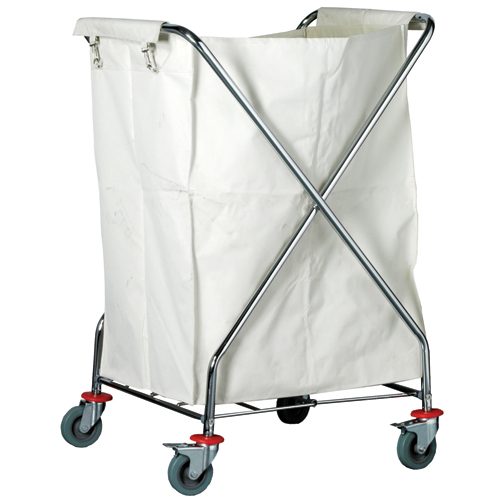 Used within many establishments including hotels, laundries, care homes and the catering and hospitality industries, laundry trolleys are typically used for transporting and storing dirty or soiled laundry. Our range of laundry trolleys includes a variety of different sizes and styles, each with their own advantages. Commonly used within the healthcare industry the laundry trolleys with removable bags provide a colour coded system for easily and hygienically dealing with soiled linen. The classic laundry trolley, with a steel frame and removable canvas sack has been used throughout hotels for many years. Also included with the range are our plastic trucks that offer a hygienic and hard-wearing solution that will not deteriorate over time and can be effortlessly cleaned after use. The G-Force range of platform trucks and platform trolleys provides hard-wearing industrial storage and handling solutions suitable for use across a breadth of industries. Steel platform trucks offer a robust and colour coded solution for transporting goods, produce or equipment and are available in a varying number of sizes with a variety of mesh sides. 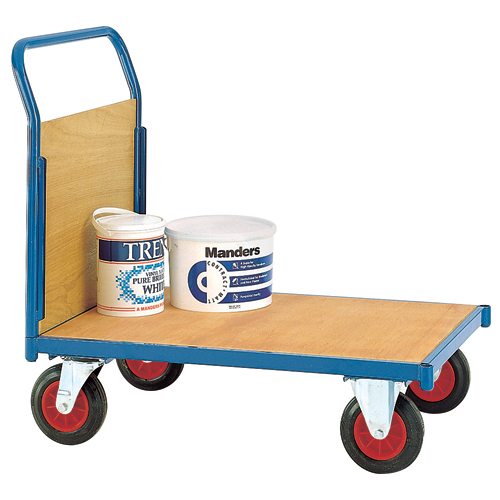 Wooden platform trolleys are incredibly durable and are supplied with different numbers of removable sides and can produced in a range of sizes. Choose from single ended, 2 sided, 3 sided and 4 sided platform trolleys that are designed for use within a host of demanding environments. Manufactured in the UK to a very high standard the platform trolleys can be supplied with mesh or wooden side panels. Steel platform trucks are exemplary handling solutions and are highly manoeuvrable. 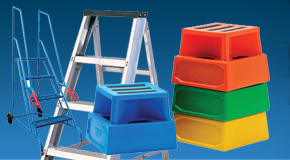 Manufactured in the UK using a strong and durable steel the platform trucks are painted to allow for colour coding. 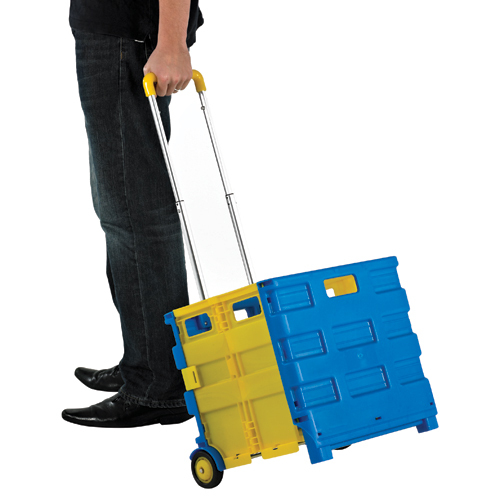 Tray trolleys provide a light duty solution for handling and transporting tools or equipment. 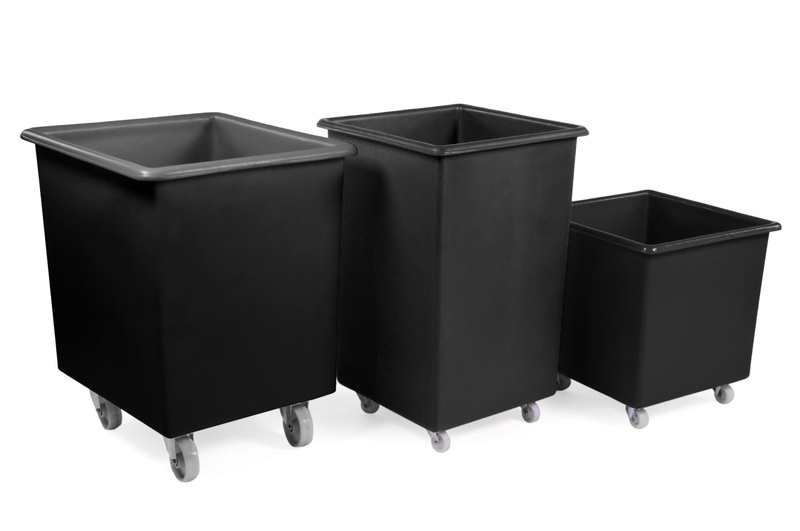 Our range of tray trolleys includes a variety of plastic utility trolleys that are designed to offer a cost-effective storage and handling solution. 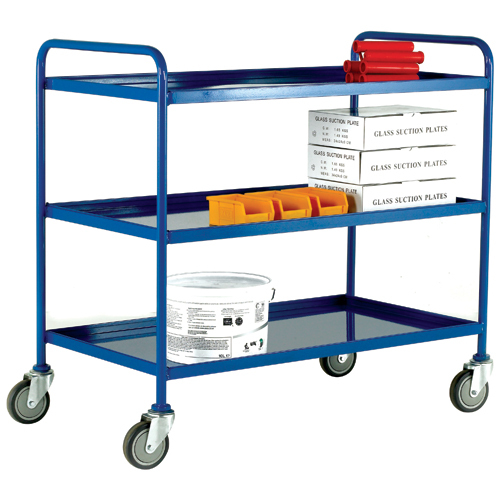 Metal tray trolleys are designed for more demanding environments and offer a mobile set of shelves to assist with organisation and storage. The range of mobile tray racks provide safe and secure storage for a number of Euro containers and are available in a variety of sizes. 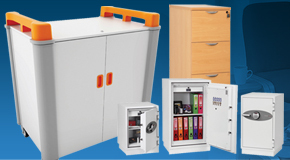 Successfully store and manoeuvre your tools and equipment to where they are required quickly and efficiently. 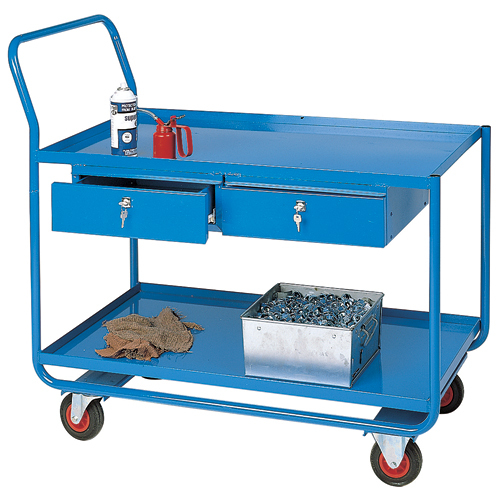 Our range of workshop and tool trolleys offer an incredibly hard-wearing storage and handling solution for demanding industrial environments. 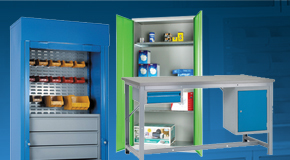 Perfect for general manufacturing the workshop trolleys are available in a wide range of customisable options and can include extra shelving, draws, cupboards and perimeter lips to prevent any equipment from falling off the trolley. 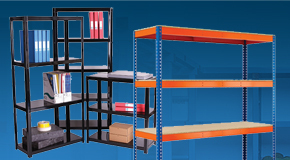 These step tray trolleys are designed to assist with stock rotation and order picking tasks. 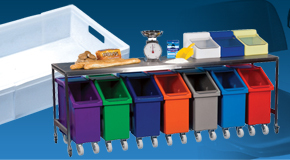 Within many industries including distribution, warehousing and retail order picking and step tray trolleys are an ideal solution for collecting items or goods to be despatched. Incorporating heavy duty designs, the step tray trolleys offer a safe and secure solution for working at a height as the set of steps anchors down once weight is applied, preventing the trolley from moving. Choose from 2 and 3 shelf options with a variety of steps and material choices. 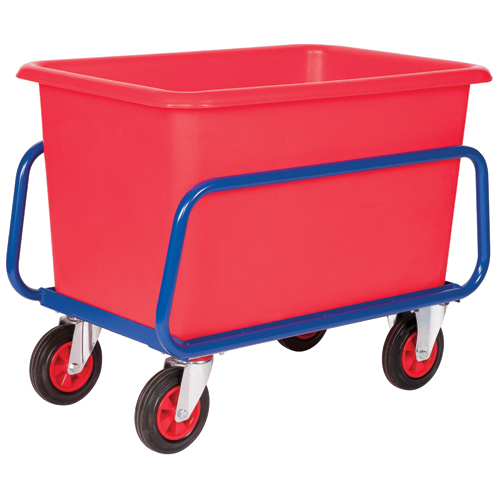 Designed to handle a huge variety of plastic containers, plastic trays, plastic boxes and crates, our range of plastic dollies will suit any application. Manufactured by ourselves from food grade plastic our range of plastic dollies and double dollies allow for the safe and secure handling and transportation of stacks of plastic tubs, stack nest containers, bale arm baskets, Euro stacking containers and many more containers used for storage and handling. Our dollies are available in a vast arrangement of sizes and styles, each in a multitude of different colours to assist with colour coding. The different styles of plastic dollies allows each one to be ideal for a different size and style of plastic container. Manufactured from robust food grade polyethylene and with a crevice free design, each of the plastic dollies and plastic double dollies is hygienic and easy to clean. 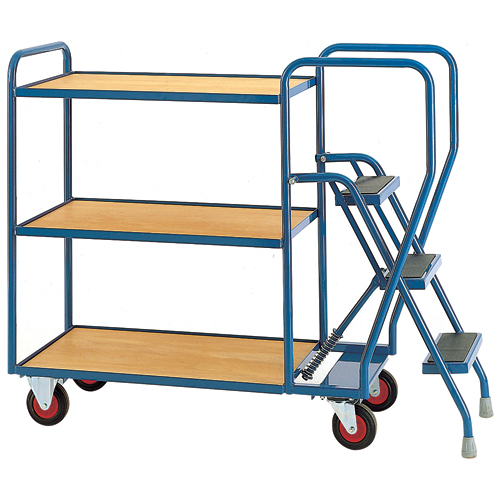 The folding box trolley is perfect for light duty storage, distribution and transportation and is often used within office environments. Easily stored as when it is empty the box trolley folds down, the range of folding box trolleys offers a simple yet secure solution for transporting paperwork, folders and box files about a busy office or workplace. Choose from a variety of different styles and sizes to find a box trolley ideal for your application. Designed to assist with the lifting and transporting of heavy or bulky items a sack truck is ideal for many establishments. With a huge range of sack trucks available we provide a vast variety of different sizes and styles with different types of wheels and toes to suit many environments. Standard sack trucks allow for boxes or goods to be transported with ease across level flooring whereas our stair climbing sack trucks allow you to easily navigate between different levels. Roll containers are widely used within many industries for storing, transporting and distributing goods, materials and equipment in bulk. Our range of roll cages includes both demountable and nestable roll containers that are well suited for use within industrial environments. Nestable roll pallets can be folded up and nested on top of one another when not in use, helping to save on huge amounts of space on return journeys. Demountable roll cages are easily broken down so that the units can be stacked on top of each other and take up a fraction of the space. With a wide selection of roll containers and cage trolleys available you are sure to find the right roll pallet to suit your needs. Our full security roll containers are commonly used for transporting higher value goods and are a popular solution for airports. 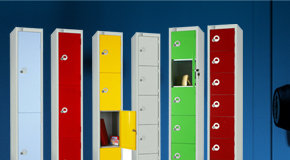 Optional internal shelving and drop-down doors are also available for almost every model. 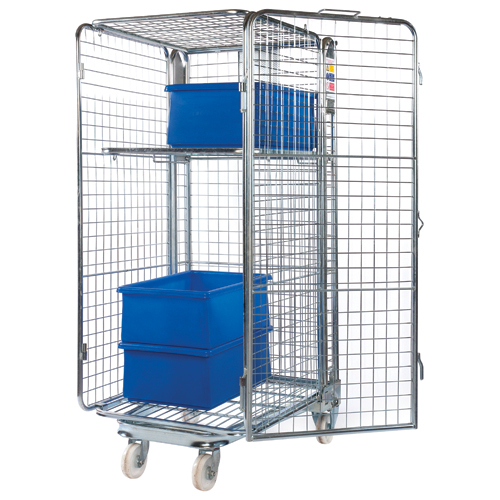 Cage trolleys are typically used within the hospitality sector and allow safe and secure storage of goods or products and incorporate a number of internal shelves. 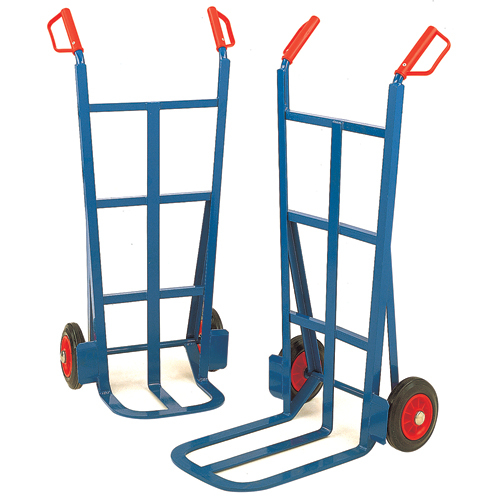 Pallet trucks are ideal for handling plastic pallets and pallet boxes loaded with a large amount or heavy items, goods or equipment. The hand pallet trucks are designed to fit under the pallet or pallet container and then using a manual or electric pump action, raises the pallet or bulk box off of the ground. 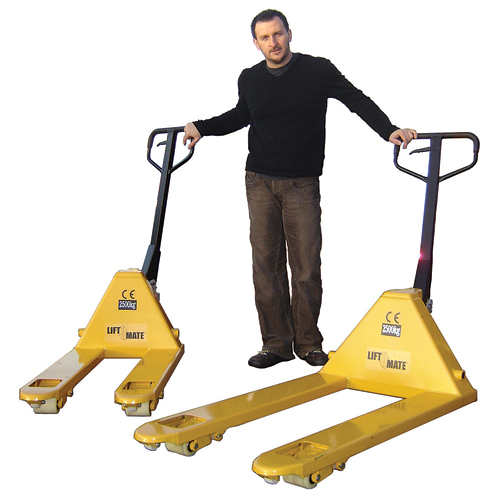 The pallet trucks are highly manoeuvrable and make repositioning the load an easy task, one that could not be carried out by hand. Available in a wide range of different sizes with different lengths of forks and numerous fork widths, the hand pallet trucks can be used for many different applications. Some of pallet trucks incorporate weighing scales to assist with measuring the weight of a load and we also provide a number of electric pallet trucks that require little to no manual assistance with lifting and pulling of the load. Scissor lift tables and pallet stackers are designed to provide a safe solution for lifting heavy loads, enabling you to position them into racking or wherever they are required. Scissor lift tables provide a stable platform for goods or equipment to be placed on and then using a manual pump the table is raised to where it is required. 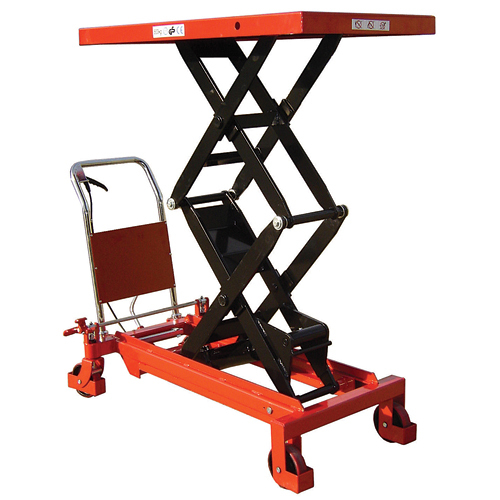 Our lift tables are available in a variety of sizes with single and double lift formats. Pallet stackers are ideal for handling pallets and plastic pallets in environments where a fork lift truck is unavailable or not practical. The hydraulic pallet stackers make light work of lifting and positioning pallets into and out of pallet racking. 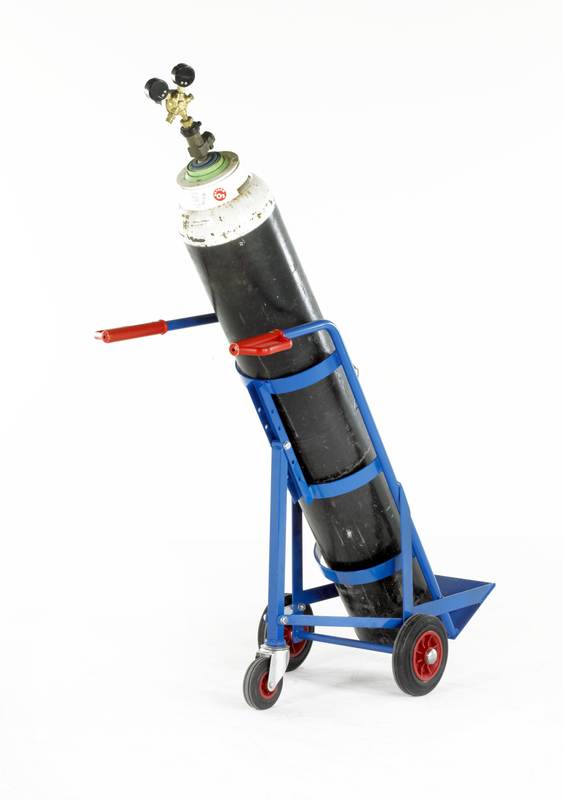 Gas bottle trolleys are used for securely and safely transporting or storing different types of gas containment bottles, gas cylinders and gas tanks. Highly manoeuvrable and hard-wearing the bottle trolleys are available in a huge range of different sizes and formats, including solid wheels and pneumatic tyres to suit different terrains. Also included in the range are a number of drum trolleys to assist in the handling of plastic or steel containment drums.